It's Valentine's Day, and Emily of My Petite Canard tagged me in a 'Love is..' series. For my post, I am going to write about how the definition of love changes for couples who become parents. For the first year after your child is born, it's easy to forget that you have a role besides parenting. In fact, you are parents first, before everything else. I would say that's completely natural, but it does take work to sustain a marriage (or partnership) after children. Many swear by 'date night', but my husband and I have never wanted to be away from Little Dude. We wanted to have as many special moments with him as we could. A marriage changes in so many ways post parenthood. Most importantly, it is enriched by the millions of instances of love, pride, learning, and fatigue that raising children entails. There are so many memories of milestones reached, challenges overcome, and perspective shifts that only the two of you have been witness to. So, here follows my list of what love means for parents. Keeping each other standing in times of complete disorientation caused by sleep deprivation. 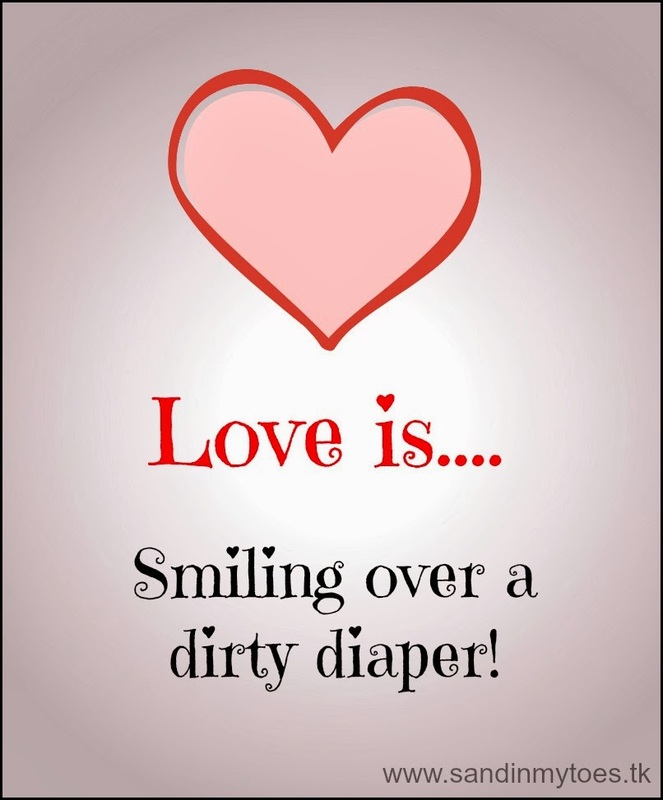 Worrying about your newborn's bowel movements, and being relieved over a dirty diaper. Feeling more proud of the first smile, the first tooth, and the first step, than a promotion at work. Giving each other a look of relief when the baby finally goes to sleep. Talking in whispers and walking on tiptoes to make sure the nap lasts long. Finding beauty even in the stretch marks, unshaved legs and dark circles. Spending the weekend just playing and running with a toddler. Having late-night dinners after catching up with everything that needed to be done. Communicating by texting because it's tough to talk around an active toddler. Sending each other photos of the kid, instead of selfies. Watching the same TV shows at different times, and discussing them later. Buying chocolates, only to have them found and consumed by the toddler. Happy Valentine's Day to all Moms and Dads, even if you don't celebrate it in the conventional sense! I am tagging the following bloggers to write their own 'Love is...' lists and #SpreadTheLove. Please don't forget to link back to My Petit Canard here: http://mypetitcanard.co.uk/2014/02/12/love-is/. As always, there is pressure to join in! What are the things that made your relationship extra special after parenthood? Wow! It's been a lot of years since we've had a baby or toddler in our house but I remember those days like they were yesterday! All of the little moments are so huge! I laughed out loud at the "look of relief" because it reminded me of my son. When he was a newborn, he was backwards....slept all day, awake all night and my daughter was only 19 months old so I couldn't adjust my sleep to his schedule. I would be dead on my feet and he would finally nod off. No sooner would my head hit the pillow, he would wake up! I would just cry from the exhaustion. Finally, one day, he straightened out! I don't miss that but I do miss a lot of things from those days...they seem so long ago. I "love" this… I have been reading all Joy and No Fun and it's made me ponder just what love is, so this was great to read! Oh wow, you're a superhero for surviving those times!